Xiamen Airlines B-5302 departing to XMN as MF8662, having arrive earlier as MF8001 from PEK. 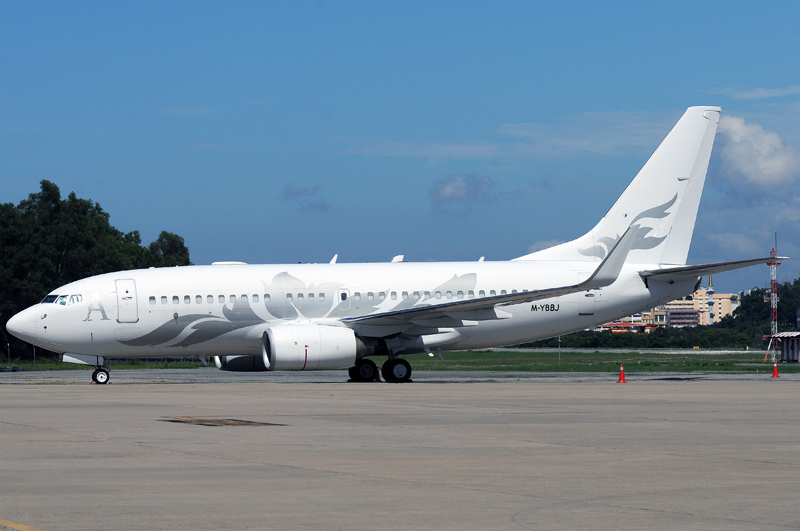 Previous MF operated FOC - BKI using flight number MF8001 and MF8002. Nocturnal bird no more. 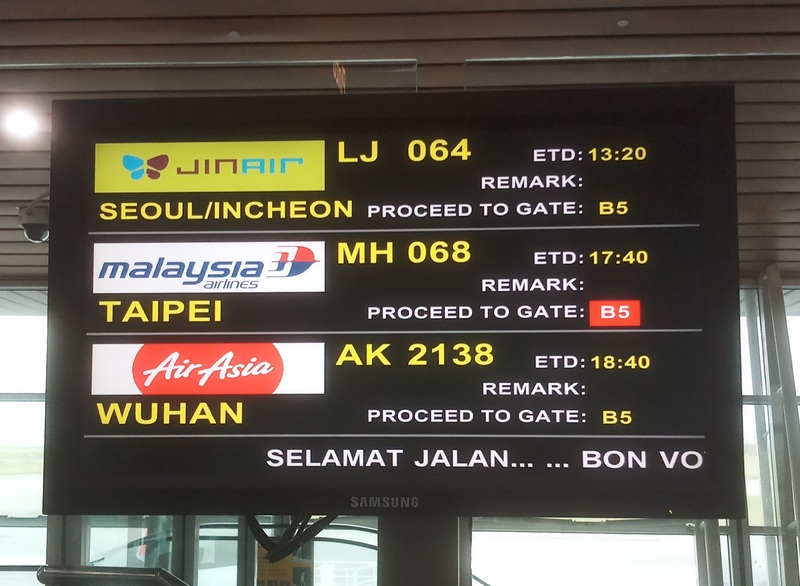 Jin Air started deploying one morning flight to BKI arriving about 11:20am as LJ65 and leave 1 hour later as LJ64. Previously they deploy both LJ61 and LJ63 at night with one hour between each departure. Currently LJ65 is using the B738 whereas LJ63 uses the B777. Edited by BC Tam, 29 October 2018 - 07:10 AM. 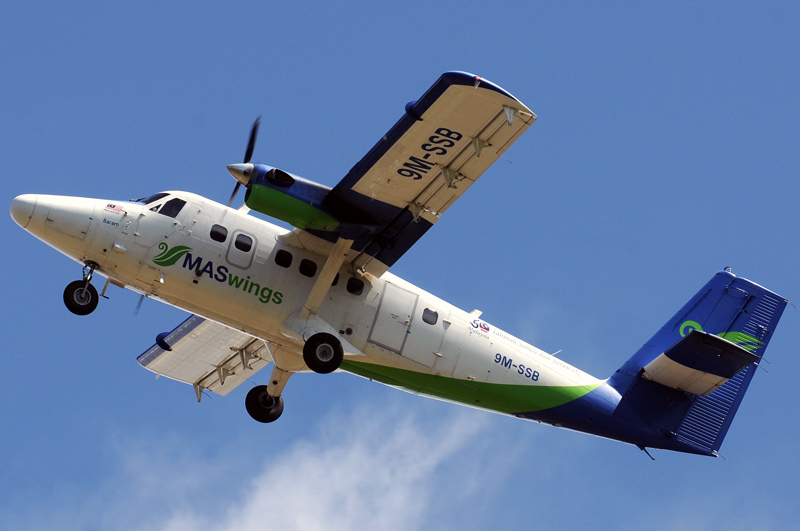 Jin Air recently made a big buzz in my FB circle as some of my non aviation friends have just discovered this airline. The main discussion is the name of the airline itself - Jin Air - which if being read and comprehend as a word in Bahasa Malaysia would be "Jin Air" (water genie). "Ït's real... no BS!!" Actually Jin in Korean really means "real". Edited by Eddy Liew, 07 November 2018 - 05:32 PM. Could it be the ex-CM's legal team going off after their date at courthouse this afternoon ? The plane's previous flight was HNL-BKI. A few of us were there to catch a glimpse of this rare aircraft. The sun was playing hide-and-seek though. anyone got a shot of the A400 at T2 today? my shutter mechanism decided to blind my viewfinder after this. after 9yrs and 1mth of hard works. Edited by S V Choong, 04 December 2018 - 06:21 PM.